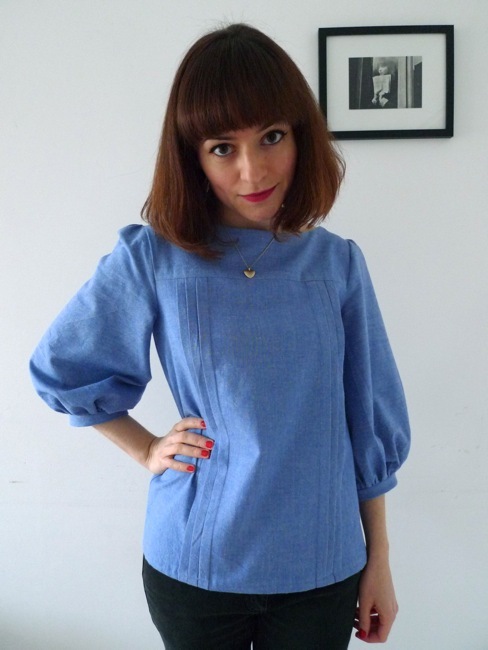 Tilly and the Buttons: Introducing... the Mathilde Blouse Sewing Pattern! 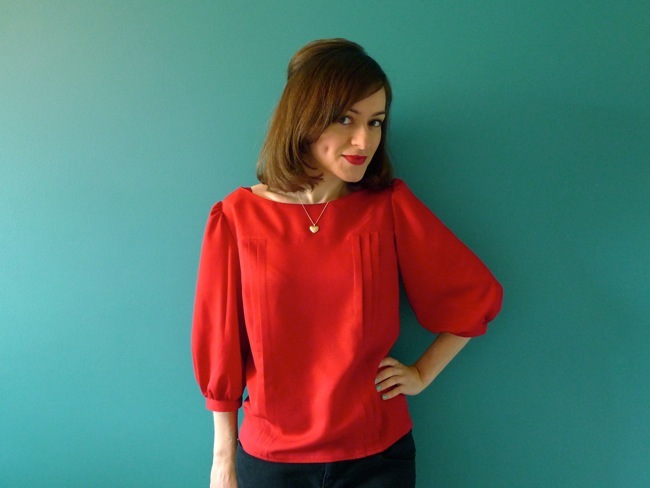 Introducing... the Mathilde Blouse Sewing Pattern! Readers, I’m soooooo excited to share this with you! 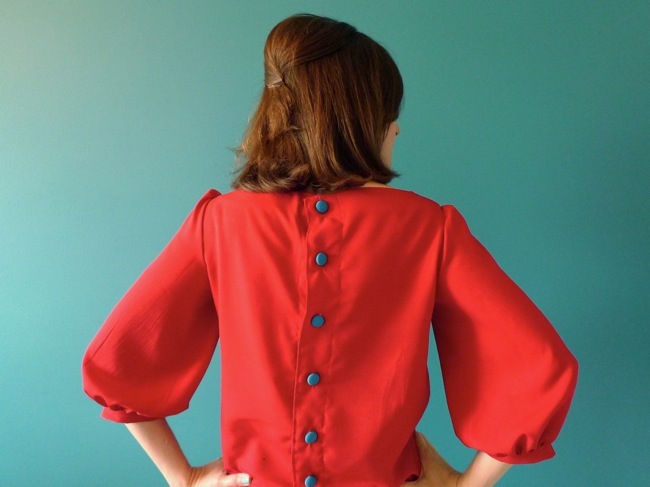 You can now make your own version of my button-back blouse – aka the Mathilde Blouse! After numerous requests – and months of resizing, tweaking, testing and writing the most comprehensive instructions you've ever seen – I’ve finally finished perfecting a multisized digital version of the pattern for you to print and sew at home. The pattern costs is available RIGHT HERE, RIGHT NOW! 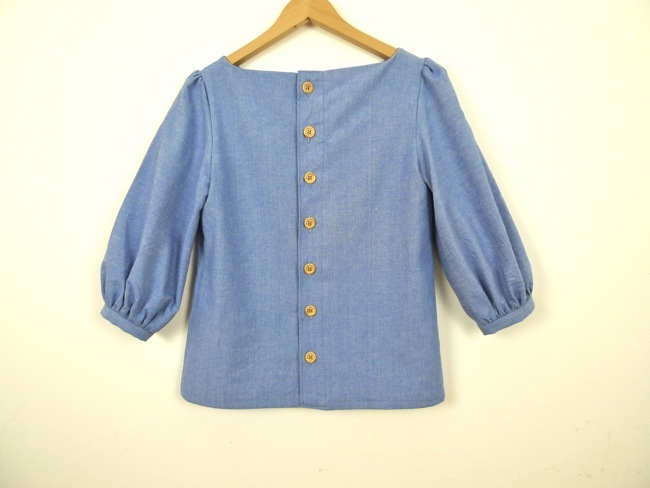 The Mathilde Blouse is a cute and versatile garment with an understated elegance. 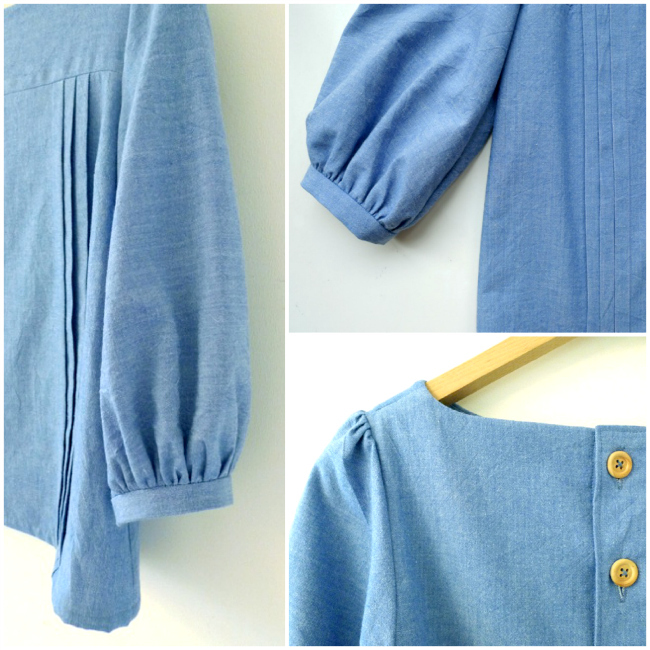 Loose fitting with vertical tucks, gently puffed sleeves and button-back opening, it works well in lightweight drapey fabrics – from cottons to rayons to silks (if you’re game!). Team with bright buttons to create a surprise when you turn around! Dress me up with a pencil skirt or dress me down with skinny jeans. Check out some Mathilde Blouses already made – both by me and by my wonderful testers (thanks you guys!) – in the Maker Gallery. If you’re an experienced stitcher and just want to crack on with it, you can print out a simplified, text-only summary of the instructions. Complete with handy tickboxes to celebrate your progress! 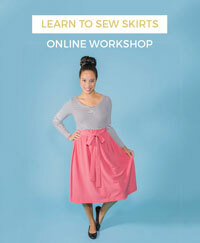 If you haven’t sewn many things before, or if you are a visual learner, or if you would just like some guidance with a particular technique, the digital version of the instructions will hold your hand at each stage with step-by-step photo tutorials. 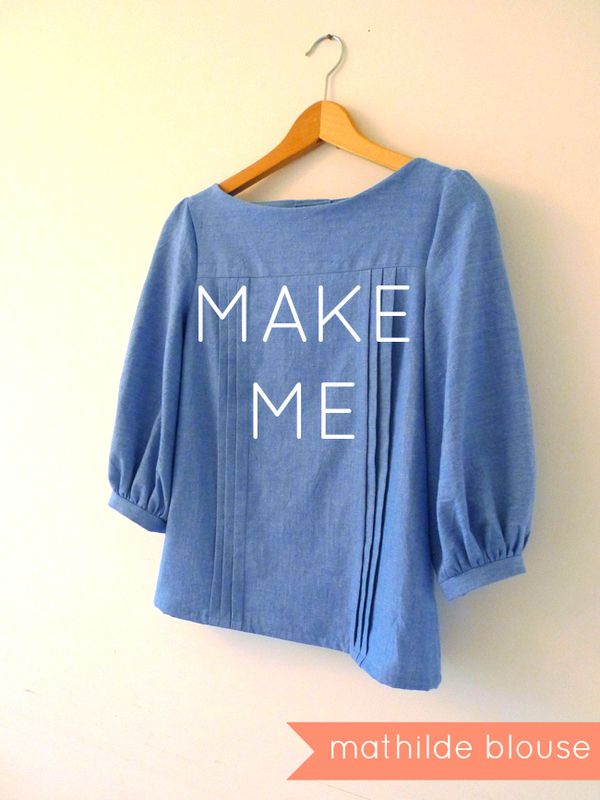 Over the next few weeks, a new post will be added to the How to Make a Mathilde Blouse web page almost daily, building up to form a sewing workshop in everything you need to know to create your own version. 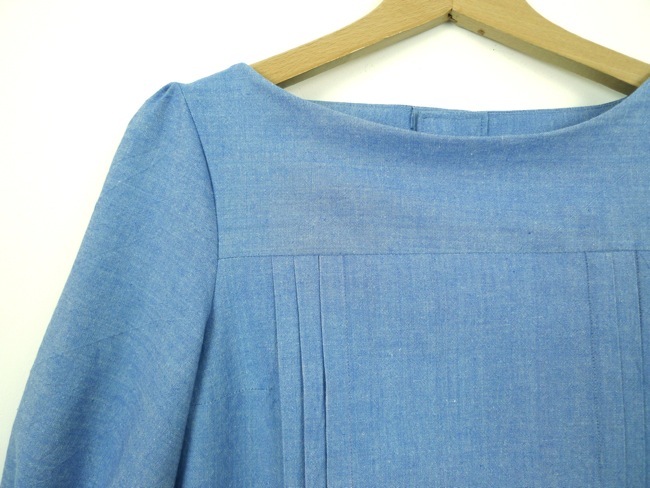 We will cover various topics and techniques along the way, from understanding interfacing to fashioning beautiful tucks, from setting in a sleeve to stitching French seams. You can sew along as the posts go live, or you can bookmark the page and revisit any page you need whenever you need it. Check out everything we’ll be covering. 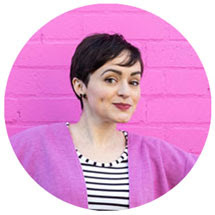 Get your Mathilde Blouse sewing pattern here!